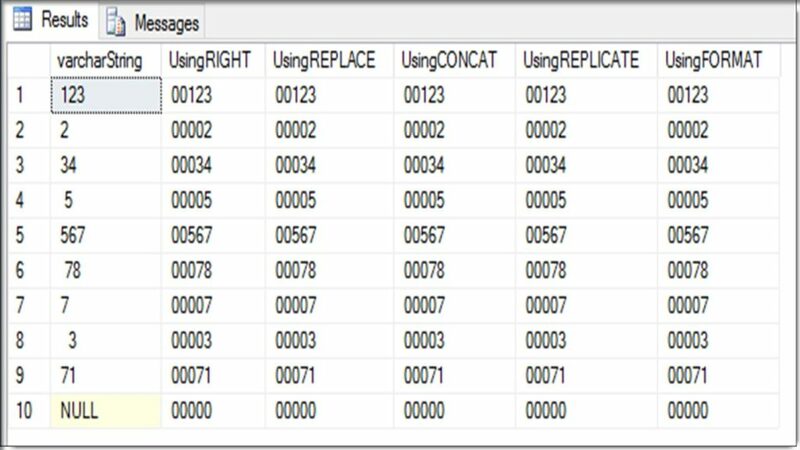 The following post provides a few examples of how to add leading zeros to CHAR, VARCHAR and INT data type field values. I have to use these techniques quite often in my data world, so I figured it was a good post to share with others struggling with this task. Unfortunately, these techniques often result from working with flawed data, but that is often the norm rather than the exception. I hope you find these useful. If you have additional techniques, I encourage you to add them to the Post Comments section. All examples below format a given value to 5 characters with leading zeros. 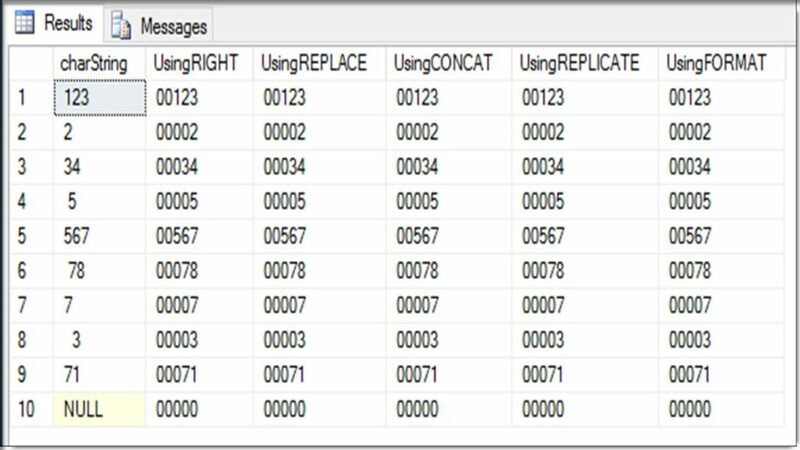 All examples below have been tested in SQL 2014. 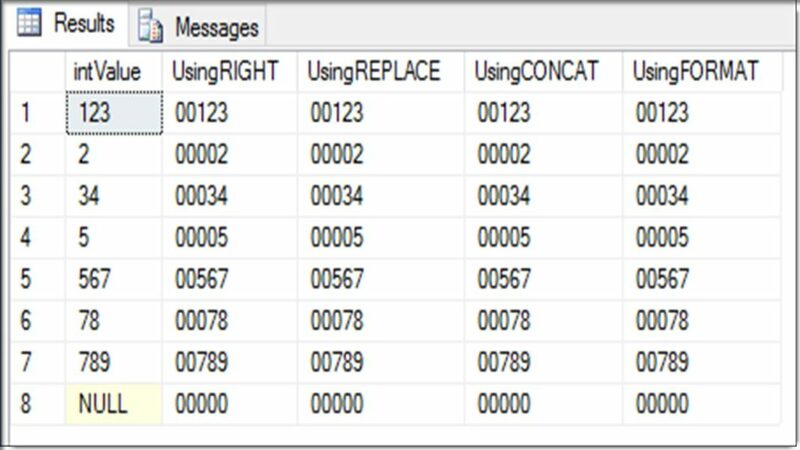 All examples below (other than CONCAT and FORMAT) have been tested in SQL 2008 R2.